I already have a long list of things I want to do.. So far I've changed the oil and filter, drained trans fluid, plugged a small exhaust leak, replaced hood and trunk struts, and replaced the headlights to LED. For now here are a couple pics! Very nice car. I hope Philly doesn't hurt it. I love these cars and even a parking lot ding breaks my heart. Have fun. Congrats on the new ride! Wonderful gift for the New Year. Hi beautiful car. I have one the same color except for a burgundy interior. 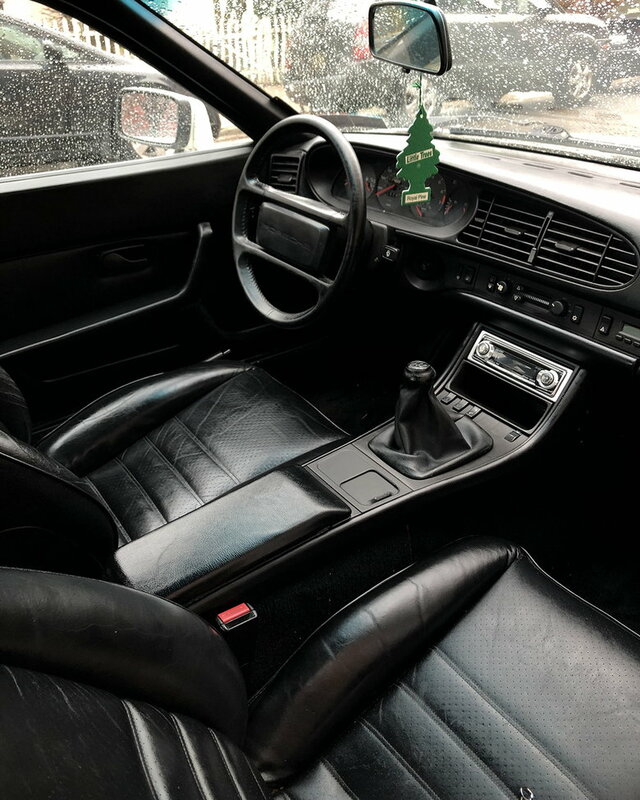 I recommend conditioning those leather seats with Lexol if it is going to be kept outside, old leather doesn't tolerate eratic sun or temp conditions. Condition the dash as well. Also replacing rear hatch struts on these cars is a no-no as it can cause the hatch frame and glass to separate from added stress, did you save the old ones? Lots of opinions on what product to use when conditioning the dash. My choice is 303 aircraft protectant. Others recommend Meguiar’s Mirror Glaze Vinyl & Rubber Cleaner/Conditioner. Still others recommend other products. 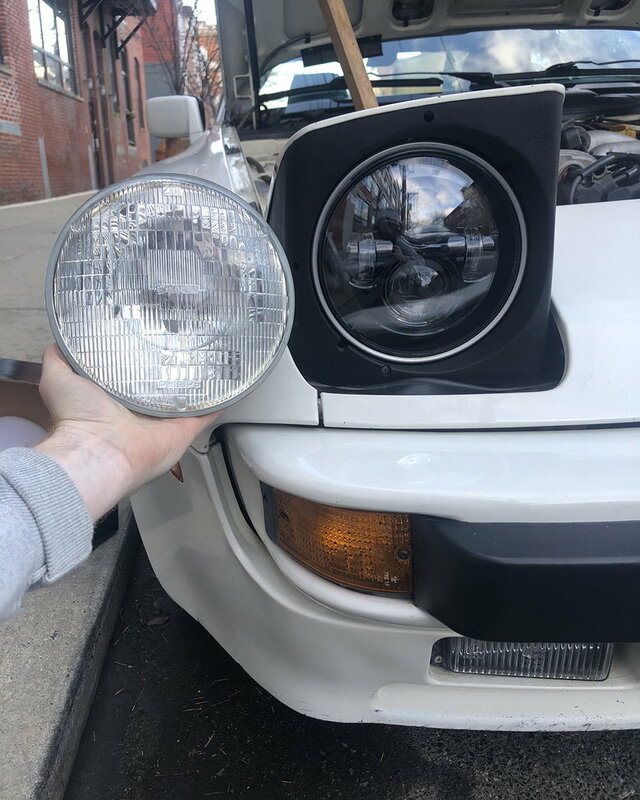 Question: what kit did you use for the headlight upgrade? 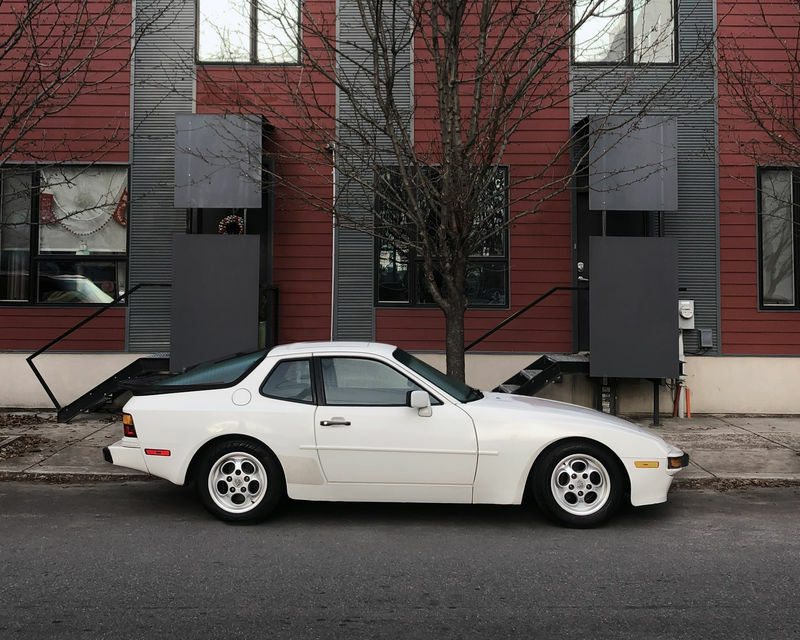 Nice to see 944s being driven. Thank you. as someone who lived in Virginia the last time I owned any cars, you don’t know how much I miss my own driveway. So much comfort in knowing it’s left alone. I’m thankful the stock bumpers have those protective rubber bars in the bumpers though. I’ve heard to use 303 as well. I have meguiars conditioner on there for now but next go around I’ll probably switch to 303. Please post some night-time beamshot photos from those lights! I've owned the car for over a month now and have had zero issues. It's been a blast to drive and only have positive things to say. I have a faint smell of burning that I can only assume is from oil? (I have a small leak) but feel like I should check it out to be safe. I've been acquiring parts as I don't own a garage and its very cold this time a year, but I'll have access to a friends garage in a matter of weeks which will be my first opportunity to get some things done. First major task is all new front/rear suspension. I plan to lower the car 1.5 inches and add spacers for the front and rear. As for the exterior I've purchased a rear turbo valance that just needs some paint and rear windshield wiper delete. After doing some research it appears that the 86 944 didn’t have a check engine light? Can someone confirm that? 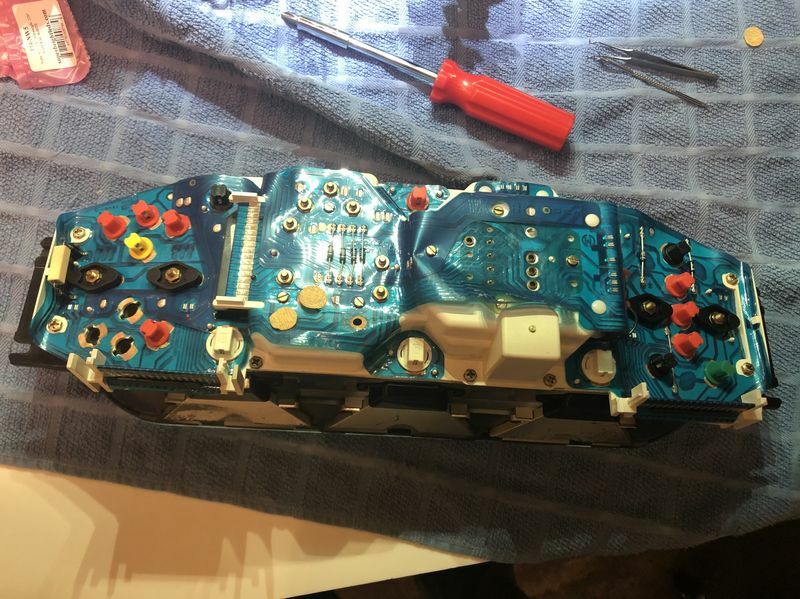 It would make sense as I didn’t expect the previous owner to take the gauge cluster out.